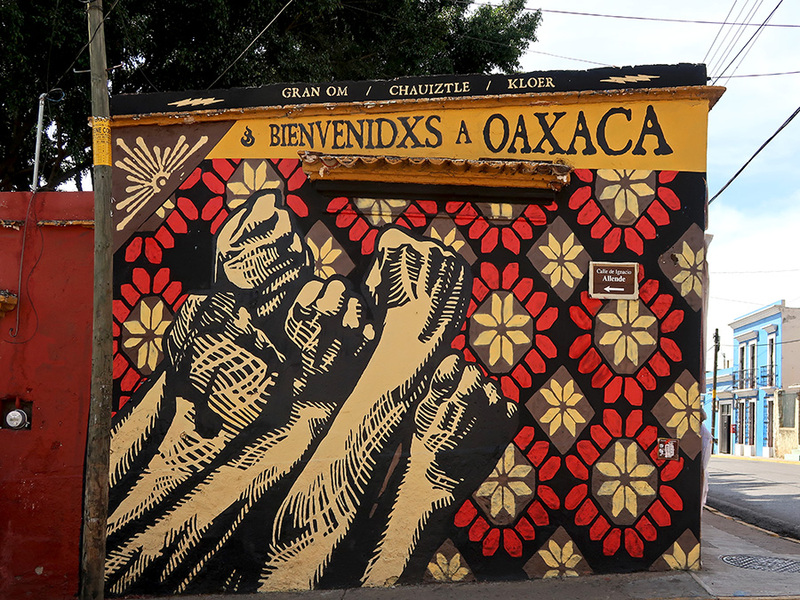 While the caption says, “Welcome to Oaxaca,” those clenched fists raised in protest illustrate how the overwhelming majority of women in the United States feel today. New mural at the corner of Allende and Tinoco y Palacios by Gran OM, Chauiztle Stencil, and Kloer Kloerk. maybe not a majority! we should learn to accept differences in politics without hating on each other. Many women at least 50% wanted him there. Please dont diminish the raised fist of the mexican peoples vigil with the vaudeville circus of political theater. That is quite a sad stretch. Dare say majority male and female in Canada, surely in Mexico and perhaps rest of the planet are saddened. From a Male, Btw, who agrees with this post’s sentiments.